Remember how I have been telling you about all of my V-8 moments in teaching? I guess a better name for this series of posts should be “why didn’t someone tell me about this”! So much of our profession is learned on the the job. I naively thought that once I had my degree I was ready to go out and conquer the world. Boy! I couldn’t have been more wrong. Even during my 20th year of teaching, I was still improving my craft. I think it was during my 4th or 5th year when I FINALLY began to get a handle of things that I felt like I should go and apologize to all of my former students. If only I had known then, when I knew now. Have you ever felt like that? The big advantage that today’s teachers have that I didn’t was teachers’ blogs. I love, love, love the amount of knowledge that teachers from all over the world are freely sharing through their blog posts. If you’ve had a bad day or have one of those puzzle kids that you can’t quite put your finger on what the issue is, all you have to do is google it and there are tons of resources at your fingertips. This post is one of those things that I thought sounded like a good idea at the time and it helped what I wanted it to help but it helped in MORE ways than I had expected. You know how story books start off with “Once upon a time” well this story starts off with once upon a time I was a kindergarten teacher who had a difficult schedule. It was – for lack of a better word – a chopped up schedule. That year I said I felt like I was Julie from the Love Boat, the cruise director. I didn’t have big blocks of time to teach. It seemed like I was taking my class here, there, and everywhere when really all I wanted to do was keep them in my classroom and teach! I didn’t think my class was making the gains it should because I was teaching in small increments of time. I knew this was going to be the year that I was going to have to depend on my parents to work with their children at home. Up until this year, the type the homework I gave was a reinforcement of what I taught in class, which is what I had been taught to do. This year, I not only wanted the homework to be a reinforcement, I wanted there to be accountability – but in a positive way. So, I began the Popcorn Sounds program. You can read more about that program HERE. When students graduated from that program they began the Bubble Gum program. Read more about it HERE. I was seeing big improvements but I felt like there needed to be more. So, I began the Home Journal program. I originally thought it would improve their writing – which it did – what I did not plan on and was pleasantly surprised was how much it improved their reading. When I added this component to the homework program, their reading took off! My kids were excited, the parents were excited, and I was super excited! 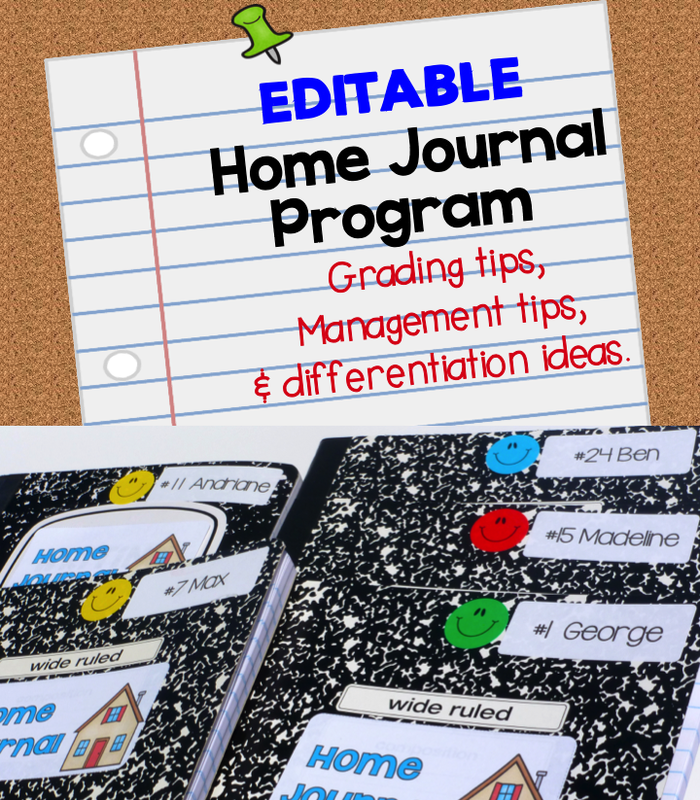 Click HERE to see the preview of the Primary Home Journal packet. I plan to make a Kindergarten Home Journal packet this week. I used the Bubble Gum program and Home Journal program (Primary) when I taught 1st grade and had the same amazing results – even when I didn’t have a chopped up schedule. I also used the Popcorn Sound program with the students who were working below level. I have used these programs at a school where the students had enriching backgrounds and Title I schools. The programs were successful at both ends of the spectrum because it provides structure, gives students and parents frequent feedback, and it is differentiated. Through the years, I have used Home Journals with different grades and different ways. This first packet that I made is for primary grades. I have it marked for 1st and 2nd grade. This is a judgement call on your part of whether you think it is appropriate for 3rd grade. Click HERE for a closer look at some of the assignment pages. You can see in the preview that I include a template of the assignment page. Sometimes I integrate the assignments with my science or social studies unit. The template is editable using Powerpoint. I also include tips for managing the program, grading, and differentiating the program. Through trial and error, I have found some things that make it easier to manage and save you time and stress! 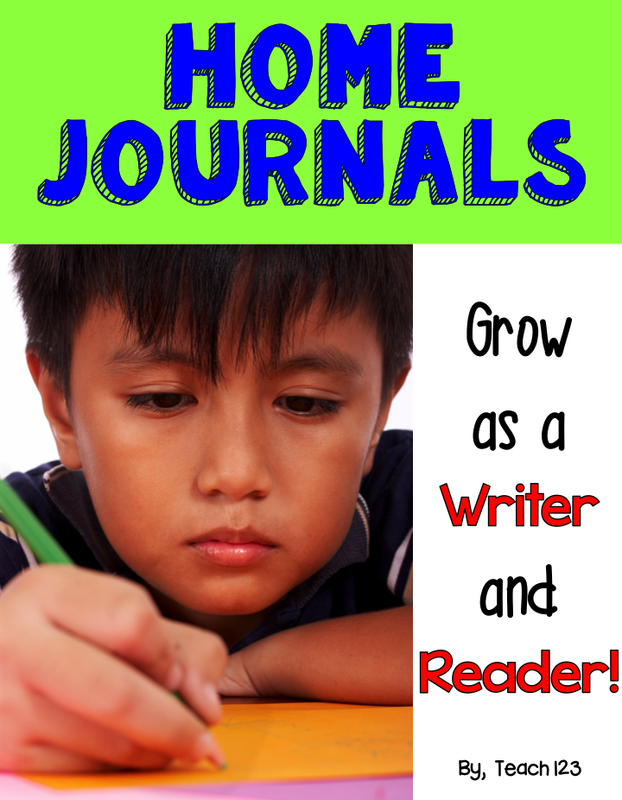 There is also a Home Journal program for Kindergarten. Click HERE to see the overview. This looks like something that I could use. I am always looking for a way to make homework meaningful!